Sail to remote tropical islands where the natural beauty is unspoiled, the snorkeling is unparalleled, and the serenity is unforgettable. If you’ve tried bareboat chartering then you know that the charter companies require you to stay close to their base of operations. You have to use anchorages that can be crowded with other charter boats while better anchorages and more remote islands are forbidden to you. That won’t be the case on these trips. Here you’ll sail to the good spots that you can’t visit on a bareboat charter. 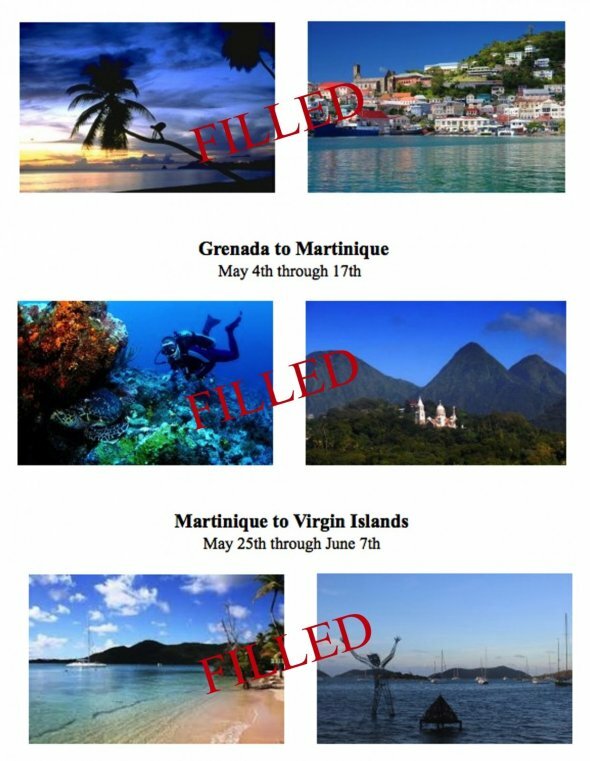 This sailing adventure is very unique, offering flexibility within the dates of each trip. You may choose a minimum of seven days (within the time bracket) with the option of extending your trip from up to 8 to 13 days in length. COSTS: Couple (7 Days ) $3600.00 Additional days $400.00 per day. Individual (7 Days) $2000.00 Additional days $200.00 per day. Don’t worry if you’re not comfortable straying off the beaten path by yourself. 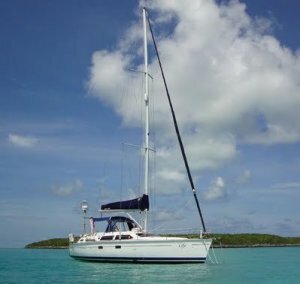 Bonneville’s Offshore PassageMaking instructor, Douglas Hendricks, will be your guide and his 42-foot sailboat which is fully outfitted for safe and comfortable offshore sailing will be your vessel. Photos and a description of the boat may be found at this link: http://www.bonnevillesailing.com/sailing-vessell-life.htm. Don’t let the phrase “offshore” scare you if you’re not ready for that level of sailing. You won’t be going very far offshore here. 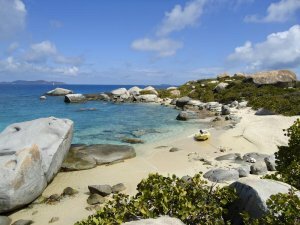 The islands we will visit on these trips are close enough to each other that in most cases it’s just a short day sail to get from one island to the next. The longest hop involves just an overnight passage. You will however be taking an active role in sailing the boat, so please only apply if you’ve completed Bonneville’s basic sailing courses or if you’ve gained similar sailing experience elsewhere. If you apply as a couple then it’s OK if only one of you has completed the basic sailing courses. In order to keep the boat from feeling crowded, openings are limited to two people at a time (for a total of three people on the boat, counting your guide). If you come as a couple, you may sleep in the boat’s large master cabin on its centerline queen bed while your guide will take the forward cabin. Both cabins have their own separate bathrooms. Cooking and cleaning chores will be shared by all three people, so please don’t come expecting to be a waited on hand and foot. This is an adventure trip, not a pampered tourist cruise. For more information, contact Todd or Louise Frye, at 801.636.5204. Check out this video postcard of Doug sailing around the world. Douglas Hendricks normally teaches physics, math, and astronomy for nine months of each year and he sails for the other three. 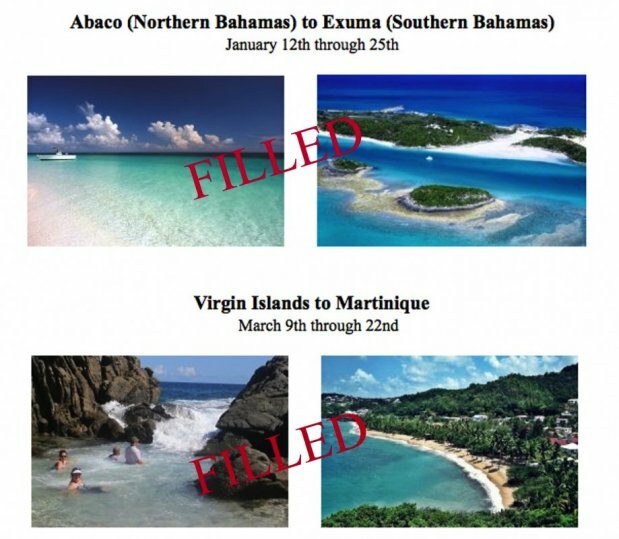 However, he is taking the entire 2014-2015 school year off in order to do the sailing described on this page, which is inadvisable to do in the summer due to the timing of the Caribbean hurricane season. Doug holds a 50-Ton Master's License and has taught both Celestial Navigation and Offshore PassageMaking for many years. He has sailed across the Atlantic, Indian, and Pacific Oceans (multiple times) as well as doing numerous shorter ocean passages in a whole lot of other places all across the globe. Check out the amazing adventures of Amara, as Doug sails back from Indonesia.